Well, as always on the 24th of December, Christmas knocks on our door. The last 100 meters of a year until the finish line, women and – sometimes – men become haute cuisine artists, children stuff themselves with chocolate and we spend lots of money on gifts for our parents, kids or beloved ones. A cosy time of the year and for some of us a moment to remember those who are no longer with us. Christmas has been a worldwide tradition for centuries with as an absolute climax unwrapping presents on Christmas eve. Presents, materialistic stuff that becomes more and more important in this world of ignorance. The bigger the price tag, the better. A watch enthusiast like you and me would like a watch under the big green tree, but where’s the limit when it comes to those things? Let me point something out, the reason I write this article is a video that popped up in our Instagram feed a few days ago. A watch with a label that says: 18,000,000 dollar. So, Christmas, gifts, watches.. a reason for me to write an article about the monstrous price tags on some watches. If it works for you, you can leave the whole Christmas hook be and focus on the discussion I’m about to start. Grab your popcorn and enjoy. I have to admit, the things I’m about to write are a bit personal and maybe you don’t agree with my opinion, but hey, a different perspective is free of charge. 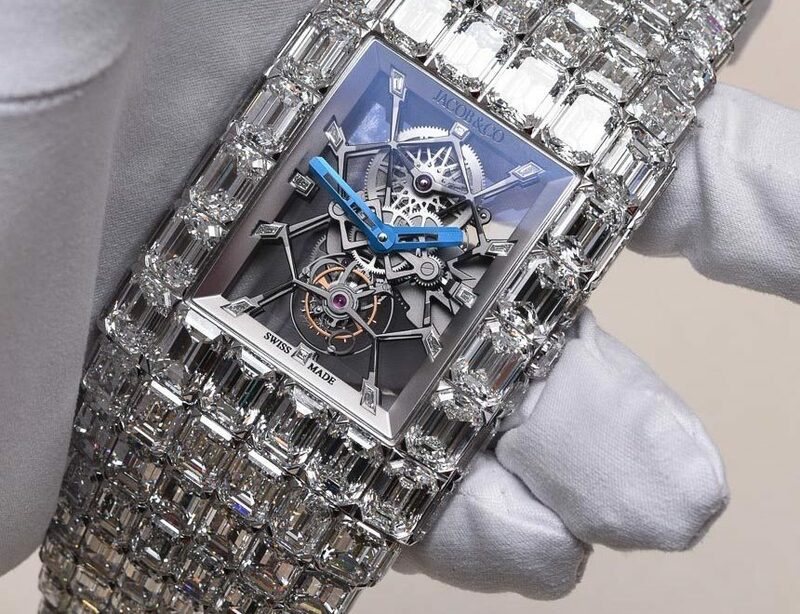 As I said, a few days ago I came across a video on Instagram about the Jacob&Co watch, that bracelet stuffed with diamonds and in between the possibility to see what time it is. Anyhow, it’s not very new, this watch is introduced a couple of months ago. Then, why do i decide to write this article now? The news value is rather low, but I feel the need to share this with you guys. You see, no matter what material is used or how long a production process is, this price is outrageous. It’s from another world, it’s crazy, it’s ridiculous, it’s like ordering a hot milkshake at your local McDonalds.. Who does that?? Alright, back to my normal way of proving things. What I’m trying to say is that this situation has no limits. To make a comparison, if you said a soccer player would cost 90 million dollars 20 years ago, people would think you were auditioning for a role in ‘One flew over the Cuckoo’s nest’. Nowadays, this is fully normal. The same story goes for the watch industry. Starting back in the days, automatic watches weren’t very expensive and the standard for watch enthusiasts. Then, Quartz movements were introduced and became the standard. By standard I mean, the first step in watch-buying-world. Quartz was revolutionary and made it possible to have extremely precise watches, mechanical watches became less standard and more expensive. See it for yourself, walk into any watch store and you’ll see that 500 dollars buy more Quartz watches than mechanical ones. As a reminder, I’m not trying to explain the difference between Quartz and mechanical watches, but it’s the change that I’m worried about. Worried isn’t the best word maybe, but it’s something that’s reaching into the unknown and in my opinion there’s no need for such thing to happen. There are certain wishes when it comes to watches and for each individual out there, there are individual wishes. 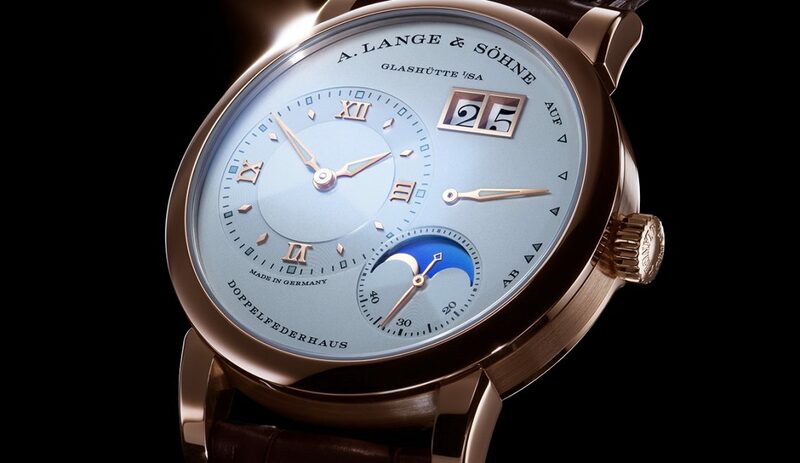 If you ask me what I find important in a watch, I would say: craftsmanship, the right materials and a unique aspect. A watch is fine piece of art. Someone somewhere worked for hours to create an unique masterpiece. In my opinion this unique aspect is realized by creating a harmony of technical ingenuity and beautiful finishing. If you pick any Lange & Sohne, Patek Philippe or Rolex, you will find a timepiece laying in your hand breathing craftsmanship and modesty. Yes, I hear you thinking ‘those watches cost a fair dime too’. I can’t agree more, but paying an amount of 40k is still much less than paying Floyd Mayweather’s match salary. You see, these watches are worth every penny. They exist out of quality and handwork, and out of those values only. That’s the whole achievement of good watch making, creating technical masterpieces. Finishing them with very rare dragonskin or stones found on Mars shouldn’t be a priority in this process. Now, before I get angry messages from the wolfs of Wallstreet and other enormously wealthy people like Donald Trump, I am not saying that Jacob&Co did a bad job on their ‘Billionaire Watch’. In essence it is a timepiece of high quality, I am not saying I would expect that from an 18 million dollar watch either, but still I do. What I’m trying to say is that certain watches become a status symbol, this watch is the perfect example of that happening. 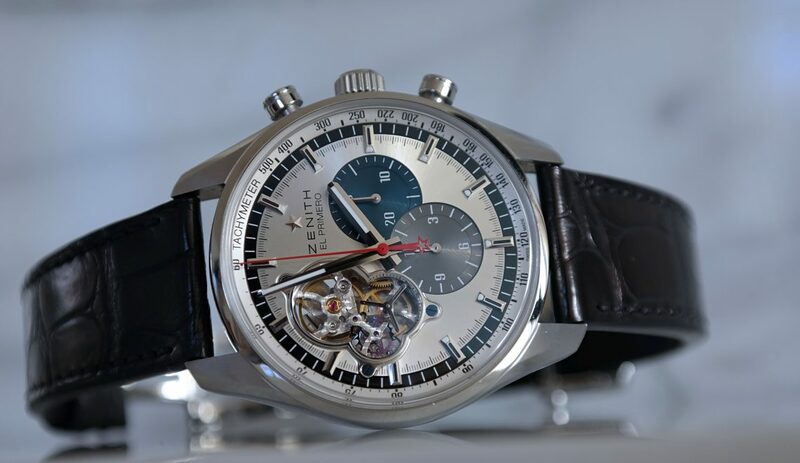 The person who buys this watch probably doesn’t care about technique or history or whatever a true collector attracts. That’s okay, that’s cool, who am I to judge someone on his buying reasons. However, in my opinion watches should be created and respected for their complicated existence, not for the amount of dollars on the price tag or the clarity of the diamonds used in the bracelet. A watch is a complimenting accessory, not something that attracts all the attention. How would you feel if your watch is the talk of the evening because it costs half our Dutch economy? Can you imagine such a conversation? You would tell someone your watch costs 18 million dollars and the next thing you know it is so expensive it could save America’s economy. Can you believe that? Good conversation though.